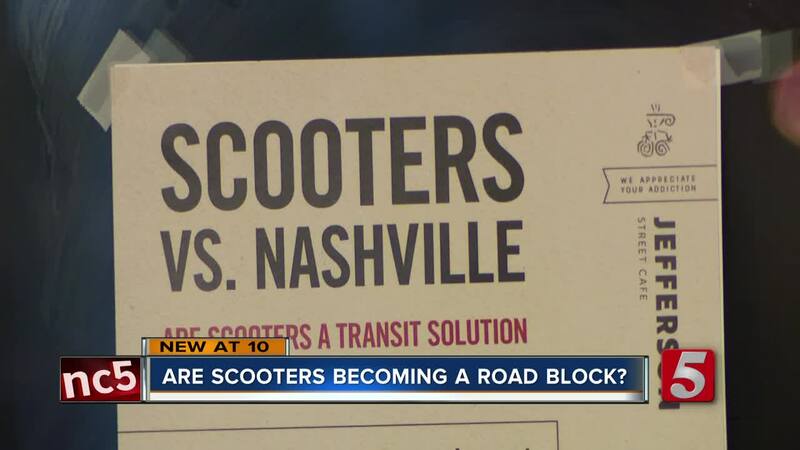 NASHVILLE, Tenn (WTVF) — It's scooter versus Nashville, but some say these modes of transportation are hazardous for people with disabilities. On Monday evening, many concerns about scooters were addressed at the Jefferson Street Cafe. Big companies like Bird and Lime telling us they have rules on how the scooters should be parked.